There are many techniques when it comes to fishing, but one of the most popular for achieving that big catch is trolling. Before heading out on the water, here are a few things you should know! Trolling can easily be learned by beginners and is widely enjoyed by experienced fishermen. Trolling is a fishing method where you cast your baited line from a moving boat and allow it to trail behind the vessel. This technique is used to soak the line and let it move throughout the water, taking on the appearance of a mobile prey. Fish that are in the area believe it to be a potential food source and go in for a bite! Speed and lure action play a vital role in successful trolling. This doesn’t mean going as fast as you can across the open water though! You have to be strategic when it comes to this element in the trolling process. Your speed should complement the behavior of the fish you are aiming to catch and also take into account the type of natural bait or artificial lure you are using. Many variables can affect the actions of the lure including current, waves, wind velocity, and the power of the boat’s engine. Be sure to do your research about different lures and what speeds they prove most effective. Trolling is best for catching big game fish. The Gulf of Mexico offers a plethora of fish species, and if you’re dreaming about that big catch, then trolling is the technique to use. 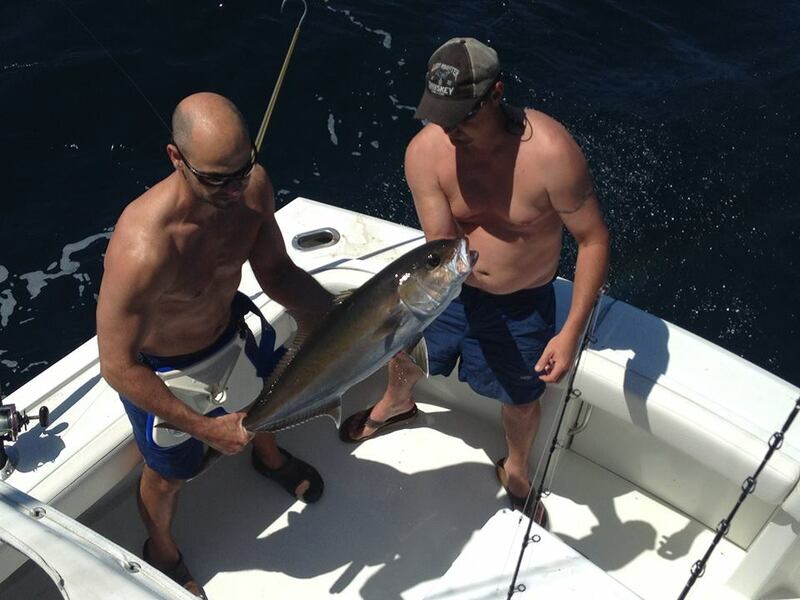 Some big game fish in the gulf include Sailfish, Marlin, Tuna, or Amberjacks. Some in-shore trolling has seen sizeable catches as well with Spanish Mackerel and Redfish. Are you ready to try trolling the crystal blue waters along the Alabama Coastline? Take a trip on the Triple-Trouble! We provide all of the gear you and your family needs to become trolling experts and still enjoy a relaxing family trip on the water. Give us a call at 256-431-5767 or email Captain Chad today to book your trip! Federal Coastal Red Snapper Season is Under Way!